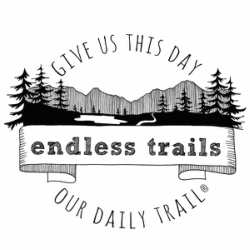 Any and all donations made to Endless Trails will go to support Northwest trail work, trail advocacy, trail clean-up, and trail education. AND, as a registered and certified 501(C)3 non-profit, all donations are tax-deductible*, so you can feel additionally great about giving back to our beloved outdoor spaces while helping enhance and protect the way we as a community utilize them. If you'd prefer to send cash or check donations, that's wonderful, too. Please email us at AllTheTrails@Gmail.com, and we'll help you do that. Additionally, if you'd like any portion of your donation to be directed toward a specific race, project/event, need, and/or trail work party, please just let us know, and we'll ensure your donation is applied exactly where and how you want it to be.